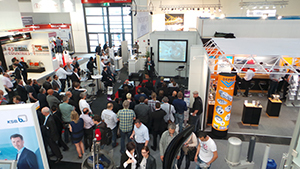 DdV media organized the Meeting Point Pumps for the fifth time. 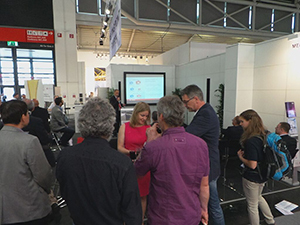 Also in 2018, your trade magazine Pumpe DE was present again at the Ifat with the successful Meeting Point Pumps - now for the fifth time and right in the heart of the pump hall. The Meeting Point Pumps is an independent venue centrally located in the pump hall B1. For the fifth time we presented the Business Points, a compact presentation unit to introduce companies and products. The whole week there were seminars on the main topics of the industry. In addition, visitors to the Meeting Point could find brochures from many suppliers.